Apparently not, but don’t write them off just yet. The Moscow Kremlin employees many staff, including a few hawks and a big owl. The birds are used to control the local crow population, but one journalist recently asked the authorities about the possibility of taking out drones with the raptors. 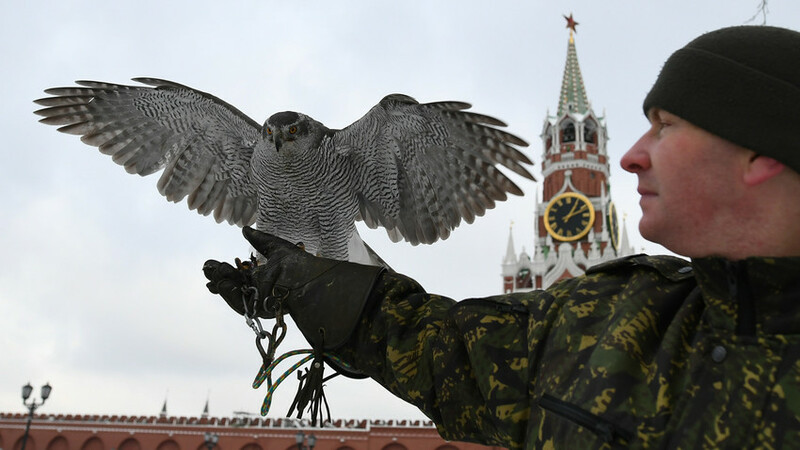 Read more about the special division of birds that guard Moscow’s Kremlin here.